Our office procedures are simple and patient honoring. Here’s what you can expect. Before your scheduled appointment, be sure to drop by our practice or provide our staff with your mailing address so we can give you a New Patient Packet. You’ll save time by completing our brief paperwork in the convenience of your own home. After a warm welcome at the front desk, your first visit will include a pre-care meeting with one of our chiropractors. You’ll do most of the talking as he or she takes notes and confirms whether you’re a good candidate for chiropractic care. If you are, we’ll proceed with a thorough examination that includes full spine X-rays that show us what’s going on with your spine. Then, we’ll schedule a day and time soon after for your report of findings. This gives us some time to evaluate your case and create a care plan tailored to your unique situation. On your second visit, you’ll see a brief video that explains what to look for at your report of findings. 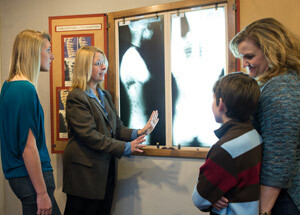 Learn how chiropractic works, what your X-rays reveal and how you can save time and money and get well faster. 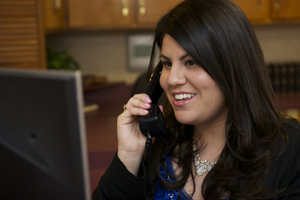 Then, you’ll be joined by a staff member who will discuss the financial implications of your care. We will have spoken with your insurance carrier and can explain your coverage, as well as discuss payment options. Get ready for an office tour and your first chiropractic adjustment! Everyone is welcome at Anrig Chiropractic Offices! To create the momentum for healing and produce lasting changes to your spine, a series of chiropractic adjustments will be recommended. With the formalities behind us, a typical office visit begins by signing in at the front desk. Feel free to take a seat in our reception area and see what’s playing on the video. Seen it already? Then pick up a copy of our Wellness Family Newsletter while you wait. It won’t be long. The reception area is a very relaxed environment where you can expect to see kids and entire families waiting to see the doctor for wellness care. If you or your child has sustained a new injury (fall or tumble) that could affect your care or your improvement, be sure to mention this to one of our team. They will provide you with an update form. Before you know it, you’ll be receiving your life-affirming adjustment in a relaxed, private environment. Questions? Please ask. We love them.